It is with the fourth edition of the famous [easyazon_link identifier= »B017SR1F9W » locale= »US » nw= »y »]Salomon Speedcross[/easyazon_link] that I enter the world of trail shoes. Yes, this is my first pair of real trail running shoes. Hence, the opinion that follows will be that of an amateur in the discipline, the first sensation wearing those shoes won’t go deep into details. 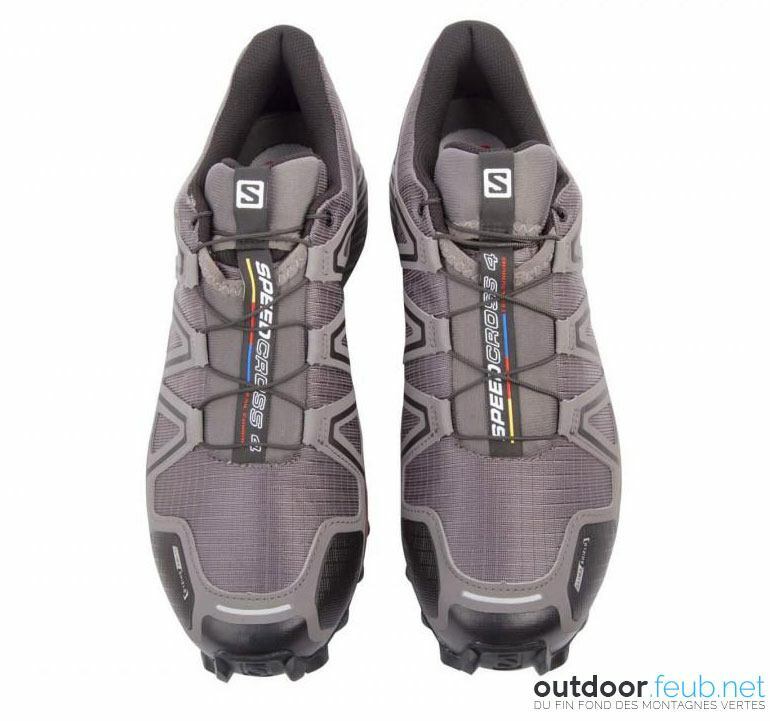 The [easyazon_link identifier= »B017SR1F9W » locale= »US » nw= »y »]Salomon Speedcross 4 CS[/easyazon_link] is a shoe with many virtues. 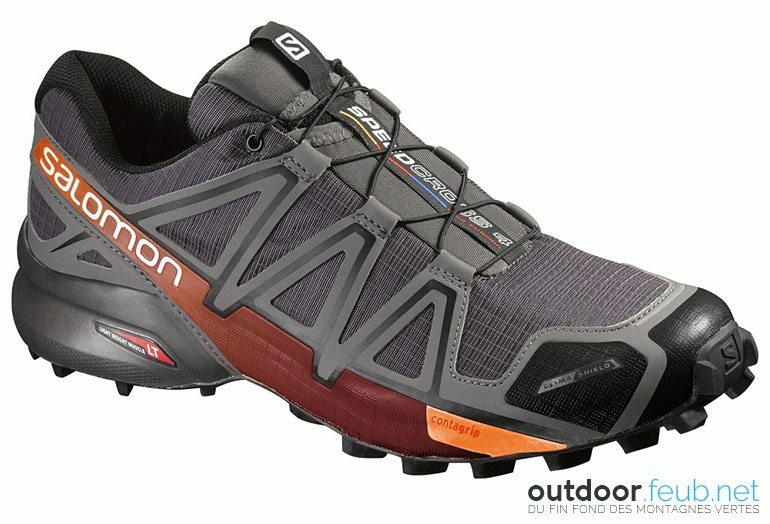 It is one of the best-selling shoe in the trail running world and the flagship model of Salomon. All these arguments helped me to make a choice, a little lost in the dozens of models brands offer in the discipline. I was thinking about starting on the old model, the Speedcross 3 for a budget matter, but I found a good deal online that made me pay for these shoes only 90 € including shipping. About the size, I based my choice on my pairs of New Balance that have always been perfect in 47 (that’s a 12 UK/US, yes it starts to surface), but I also took into account the online reviews about Salomon on the fact that the Finnish-French brand would size down a little bit. It is therefore 47 1/3 that I ordered. The Speedcross have a look almost apart, looking a bit like light hiking shoes with their crampons that go up to the front of the shoe. They are easily recognizable. But when one has them in hand – even in 47 or should I say especially in 47 – they are very thin and quite elegant. Their lengthy aspect made me a little scared, are they of the right size, will the toe box be wide enough? To find out, I just had to put them on. And then, another word that comes up often talking about Solomon became obvious: comfort. It’s literally going into home slippers. One feels immediately the cozy feeling, the shoe that fits your foot perfectly, a feeling of safety, thanks to the Sensifit technology that envelops the foot. The heel cradle combines EVA with OrthoLite foam (Salomon patent) that creates a drier, healthier underfoot environment made with recycled materials. 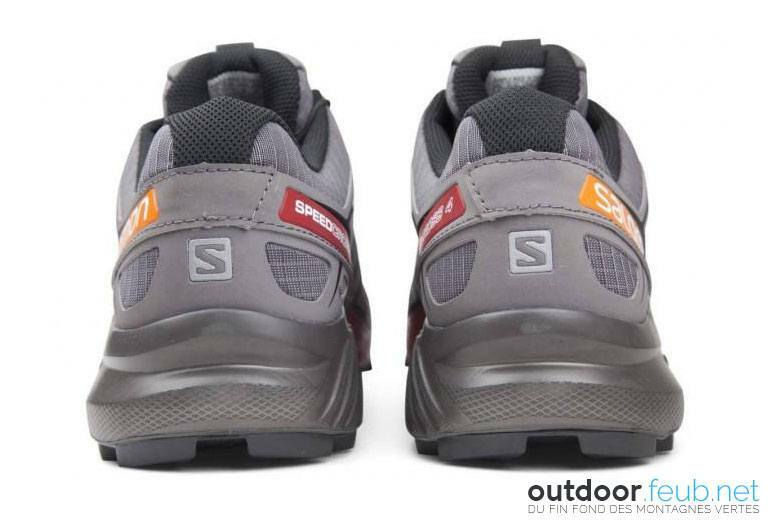 Note that Salomon indicates that its OrthoLite system can not deteriorate or lose its effectiveness over time. The drop is 10 mm, providing good cushioning, enhanced by the Lightweight Muscle midsole, a molded EVA band ensuring stability in addition to cushioning. Another highlight of the Speedcross, the Quicklace lacing system, simple and effective, in a single gesture your shoes are adjusted and locked. Easy and quick to put on as well as to remove, I already knew this system with my Shimano cycling shoes that have this same type of lacing. A detail worth mentioning is the small pocket on the upper part of the shoe tongue where to put the laces end, that way you don’t have them wandering around during the run. Quite nice feature. Let’s talk about foot protection. It is ensured by both the TPU forefoot rock plate that protects on the more rugged terrain and an anti-debris mesh that helps prevent foreign bodies from getting stuck between your foot and the shoe. This last system is very nice, it is not uncommon to have small pebbles or twigs that fit into the shoe, quite unpleasant! The outsole is patented Contagrip Wet Traction, these are hands down the best shoes you can buy for traction with their deep lugs and soft rubber, ensuring maximum grip and a longer life on this model (better than the Speedcross 3). Finally, among the variants of the Speedcross I chose the CS model (for ClimaShield), a kind of Gore-Tex made in Salomon, which protects from the bad weather, while allowing the foot to breathe and bringing a quick drying in the forefoot area. Slightly cheaper than the GTX version (Gore-Tex), I can tell you that even after 150 km using them at the writing of this review, including a dozen of runs up to 15 cm of snow, my feet were still dry. Good point! As mentioned above, I ran about 150 kilometers with the Speedcross 4 CS. I tested them on different surfaces, on rather muddy tracks, frozen lands and lately quite a lot in the snow and ice. One of the workout was on a rather rugged and stony area here in the Hautes-Vosges (check the trace here on Strava). The ground was rather damp and during the unfortunate time of the year when hunters are all around, I had to bypass the forest trail several times by going off the path in the brushwood and bushes, because the psychopaths hunters had taken the freedom to park their trucks in the middle of the way. This rocky terrain was a good test for the Contagrip outsole which proves to be bluffing with amazing traction. I was astonished by their grip, and especially the side grip. I have not slipped or slipped dangerously in sometimes difficult conditions. The lugs are well spaced and I did not have problems with stuffing, even on muddy ground. Robust and very stable, trailheads will be able to spend good time in any kind of terrain. The feeling of comfort remained the same all along these runs, I did not feel any fatigue or discomfort of the feet. This may seem normal, but this is a point to consider for a outsize runner like me (understand heavy here ;) ). I would also like to point out that none of my runs exceeded 2 hours, but I imagine that the comfort must remain maximum even on longer trails with these shoes. Something to check for the sunny season will be the warmth of the foot. Even in this period where I run with negative temperatures, I have no cold feet sensation in the Speedcross, I wonder how is it in summer time? 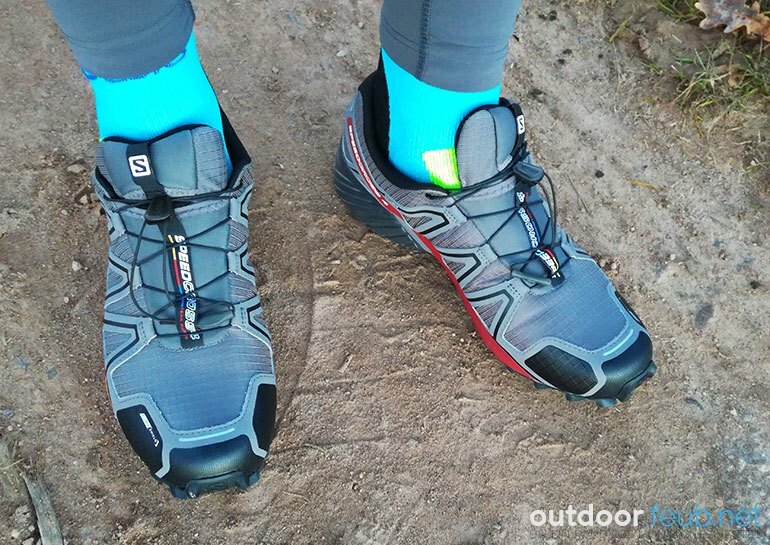 To conclude, I would say that the [easyazon_link identifier= »B017SR1F9W » locale= »US » nw= »y »]Salomon Speedcross 4 CS[/easyazon_link] are very good shoes on soft, wet and rugged terrain. Mountain is their domain. I have not yet experienced them on drier surface though. 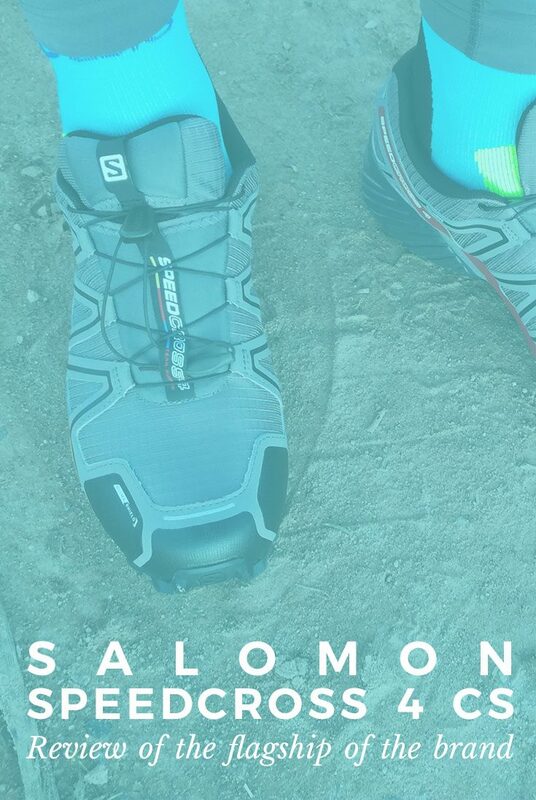 They may be less good on the road because of their soft soles and lugs that may wear out faster (but it’s a point Salomon improved with the Speedcross 4), but it’s not why they are made for anyway. Mountain not road!